Monday October 9th is Thanksgiving and I can hardly believe it, where has this year gone that we are already coming into October? I’m not complaining in the least, all those comfort foods of fall are slowly coming back, turkey, mashed potatoes, soup of many flavors and of course who could forget the pumpkin pie! That’s something to be thankful for right? 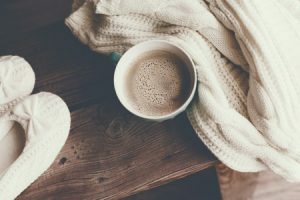 But of course with the fall season comes colder weather and we all know that means our heating bills may be a little higher than usual, with that I’ll give you some great tips that will potentially help with keeping that heating bill low this fall. •	There are many activities you do around the house that generate warmth, like cooking or baking, or taking a shower with the door open so the heat spreads throughout the house. •	Wear slippers or socks; if your feet are cold, your whole body will feel cold, so make it a point of wearing socks/slippers around the house when it starts to get chilly. •	The next step if you’re still feeling cold: try a sweater or a blanket rather than cranking up the heat. I know it can be hard to be thankful for anything when the frost and crisp air starts to set in but hopefully these few tips can help you enjoy this new fall season and be thankful for all that you have. We at Panadew would like to wish you a Happy Thanksgiving Day weekend! Please visit our website at http://www.panadew.ca/available-rentals anytime to check out all of our available units, and be sure to follow us on Facebook.